In March 2004, Bärenreiter-Verlag presented two major cello editions at the Frankfurter Musikmesse: My Popper etude editions and Jonathan Del Mar's groundbreaking edition of the Beethoven Cello Sonatas. These two were the first of a series of further editions of the major cello etudes and repertoire. Del Mar, for the first time since the problematic Henle edition from the early 1970s, studied all sources and first editions and - with his breathtaking knowledge of the Beethoven Symphonies - came up with some revolutionary changes in this first real "Urtext" edition: The first and last movements of the A Major Sonata are now back to 4/4 instead of alla breve, in many places there are different notes (especially in the op 102 Sonatas) and for the first time in print, there is a difference between ' and staccato dots. All this seems only detailed information, but the overall picture of the Sonatas does change. 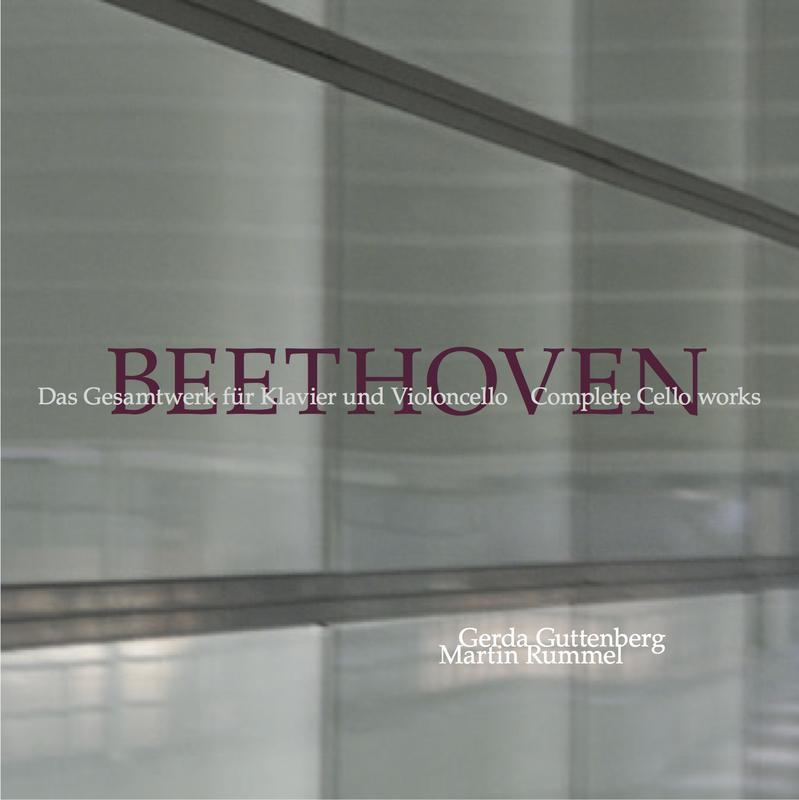 Gerda Guttenberg and I were lucky enough to have made the first recording using this edition, and it was an exciting experiment to get rid of a lot of habits that we had developed since our first series of performances of the Beethoven cycle in 1996, some of them coming from listening to old recordings. Having done a recording of the complete Beethoven works in 1996 (which is out of print nowadays) with fortepianist Ernst Gröschel, one of my biggest concerns was and still is the use of the pedal. When I played eg the op 5/2 sonata with Gröschel, I could hear every single demisemiquaver in the Rondo, which on a modern piano often becomes a pedalled blur that is also dangerously loud in relation to the cello. Playing fortissimo and legato in all these passages without using the pedal on a modern concert grand is naturally far more difficult and also more straining. Even if in some places the pedal marking is in the music, I think we must never forget that this "pedal" was not a pedal on the fortepianos like the Walter, Stein or Graf that Beethoven possessed. The pedal lever on these instruments lifted the damper, but that only increased the volume and never lost the clarity of individual notes even in very fast passages. On a modern piano, the pedal not only increases the volume but also blurs the details - this is a question that I am absolutely passionate about, especially having seen András Schiff perform the entire Bach solo keyboard works within a week without even touching the pedal once. And yet there was perfect legato wherever he wanted it. We recorded those CDs in collaboration with ORF at the chamber music hall of Brucknerhaus in Linz. The hall seats around 400 and is one of the most beautiful chamber music or recital halls I know. We had a choice of four grand pianos: two Steinway D models and two Bösendorfer Imperials. Gerda chose the older of the two Imperials which was apparently the favourite instrument of many pianists, Friedrich Gulda being one of them. I still like the recording very much, even if some of it is more radical in a musical sense than I am playing it now - this especially concerning the strict "no ritardando where it is not written" policy and some of our strict tempo ideas. Life with the great cycles such as the Beethoven and Brahms Sonatas, the Bach Suites or Haydn Concertos can only be "work in progress", and I have great admiration for colleagues like Pieter Wispelwey who admit this and live accordingly: his third Bach Suites recording was released in 2012. Of those Beethoven Cello Works recordings I love most, I must say that it is those that are the biggest contrasts to what I do: My absolute favourite is the Maisky/Argerich recording, where I would not play one theme the same way, but am drawn into listening by every of their electrifying phrases. Tortelier/Heidsieck, Piatigorsky/Solomon or du Pré/Barenboim are some of the others I like. Musicaphon decided to release our recording as a Hybrid SACD which is why the remastered paladino version is really different: that is a normal Stereo recording.